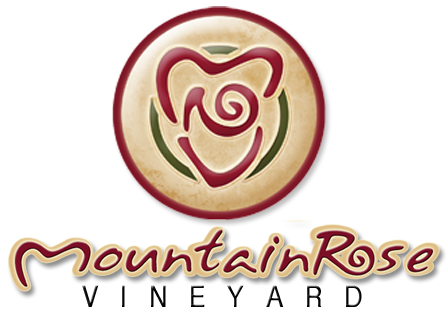 MountainRose Vineyard wines are very fruity, complex, and smooth because we are able to let our fruits get much riper than many grapes in the rest of Virginia. At our higher elevation of 2640 feet, we don’t have the humidity problems which creates downy and powdery mildew problems for the rest of the state. As a result, our fruits are very clean without rot. In addition, our cool, crisp and dry autumn weather along with the abundance of minerals in the soil make our fruit wonderful. Wonderfully ripe grapes are the foundation for delicious wines for every taste! Our winery produces a small number of cases of wine annually from handpicked and hand sorted grapes to insure quality. Most of the grapes go to our classic, “mines to wines” series with fun coal seam names, such as Jawbone and Pardee. The rest of the grapes go into our varietal line of premium wines, such as Riesling and Cab Franc. We entered our first wine, Autumn Gold Vidal Blanc, into competition in 2007 and won a gold medal in the dessert wine competition, then 'Best of Show' at the Virginia State Fair which validated our story! We continue to win awards year after year. Our wines have won two Best of Shows as well as many individual awards, most recently with our Blair White taking a 2016 Concordance Gold and Virginia Best of Fruits, and our sparkling Kelliokee taking a Gold in the 2018 Atlantic Seaboard Wine Association competition. Coal in our region was once called “Black Gold”, but today our wines are the Gold of these beautiful mountains! Buy some online or visit the winery and try them for yourself.